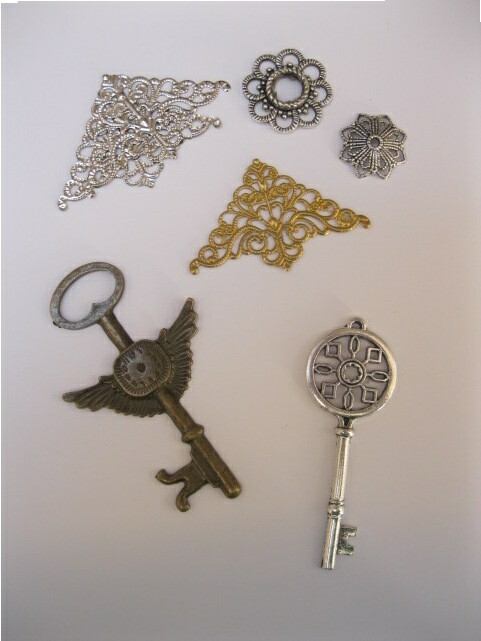 Altering metal charms is so easy when you know how and the video tutorial will show you how to get the effect for your self. Just make sure that they are metal charms and NOT plastic ones as obviously plastic will melt once you start to heat it up. Charms are not expensive items to add to your cards but they can be so pretty. Maybe it is a key you want to add for a 21st Birthday ... as that still remains the best way to wish someone happy birthday for that special age. Or it could be for someone moving house, getting a new car, sharing a home or the key to your heart on Valentines Day. Aaaaw!! Keys can say so much ... but may not be the color that you want. 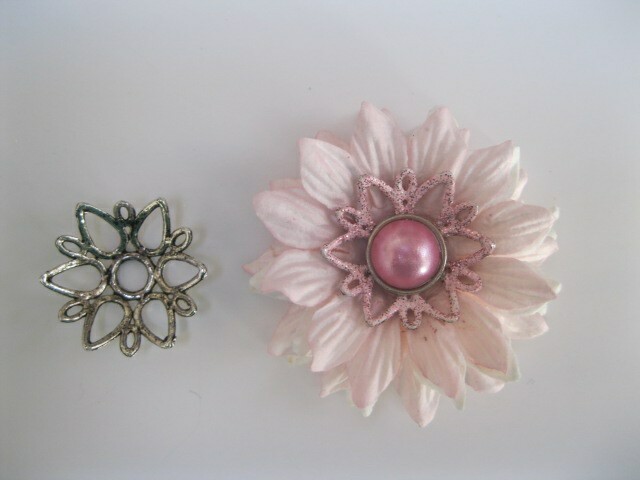 You may want to add a metal spacer to the centre of your flowers but maybe the color is all wrong for the look you want to achieve. I wanted to keep my card soft and pastel but for an extra touch I wanted to add these silver spacers. 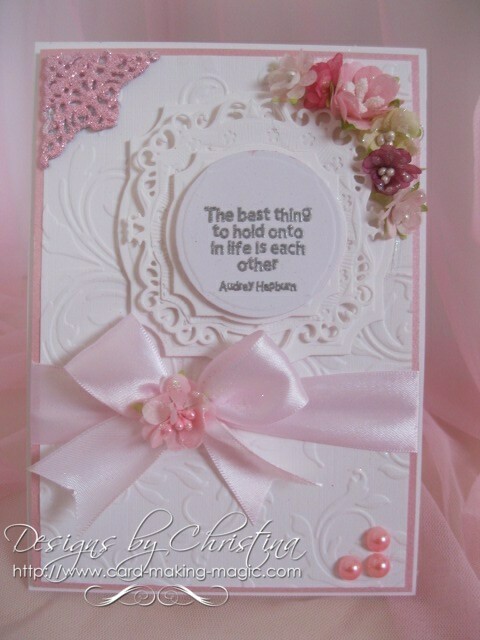 So I have been busy changing the look of them with pink embossing powder. Now it's time to make yourself a nice cuppa, then sit back and relax and let the tutorial show you how to get this easy look for yourself. 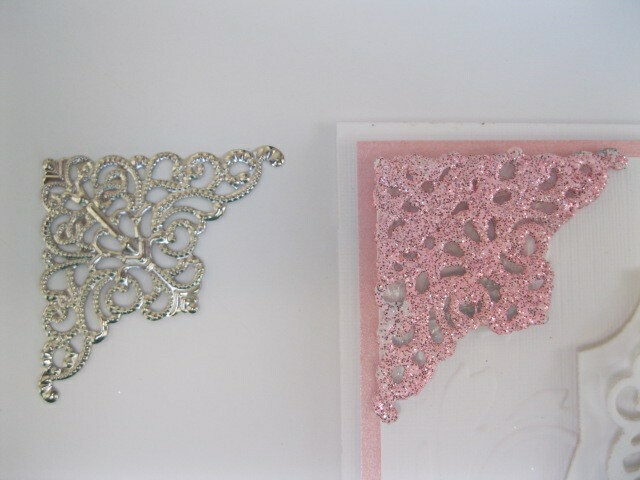 This lovely metal corner started off life as silver, which is very pretty as it is, but with some embossing powder it now matches the color scheme for the card I wanted to make. Just this simple touch can make all the difference to the cards you make and they don't need to break the bank either. I have used the "WoW" embossing powders which come in small pots. The powders come in small containers and some have added glitter to them like the ones I have used.